I get asked all the time what sneaker I recommend for strength and conditioning. While no shoe is perfect for everyone and all tasks, I’ve certainly grown to love the more “minimalist” options on the market today that simulate barefoot training. In addition to strengthening the smaller muscles of the feet, barefoot training “accidentally” improves ankle mobility in athletes who have been stuck in restrictive shoes their entire lives. That said, not all minimalist footwear options are created equal – and I can speak from experience, as I have tried out just about every version on the market today. My use of old-school Converse All-Stars (“Chuck Taylors") could probably be considered my original “foray”into minimalist footwear, as I gravitated toward them because they were flat-soled and allowed me to better drive through my heels while squatting and deadlifting in powerlifting. Unfortunately, they weren’t very comfortable, weren’t particularly aesthetically appealing, and I couldn’t really do much single-leg work or sprinting in them the way that I wanted to because they just felt restricting at the ankles (admittedly, I had the high-top version). Plus, I always felt like people automatically lived in my parents' basement and played Dungeons and Dragons because I wore them. From there, I went to the Nike Free back in 2006 – and was pretty impressed. Unfortunately, my enthusiasm tailed off quickly, as I beat these sneakers into the ground almost overnight. The panels on the bottoms would fall off all the time when we pushed the sled (we find 3-4 new “pieces” of Free on the floor at CP every day). And, the sneaker design actually seemed to “de-evolve,” as the upper and sides seemed to get stiffer while the heel lift increased (pictured below is the 7.0, and while the lower digit versions are a bit less stiff, there still seemed to be a general shift toward "normalcy" in terms of heel lift). Then, earlier this year, an employee of Vibram Five Fingers kindly gave me a pair of their shoes to try out. I really liked it for walking around the facility and training my bilateral lower-body lifts, but was not a fan of it for single-leg training, as it beat up my big toe on the trailing leg in lunges. I'm also a heavy supinator, so it wasn't a good fit for me with sprinting. However, I do love the material on the bottom, as it is one solid piece that couldn’t fall apart like the Frees do. I also liked the pliability of the upper section; it had just the right amount of give. That said, like most folks I’ve met who wear the Vibram Five Fingers, I could have done without the “Five Fingers” part, from an aesthetic standpoint. It's the absolute closest you can get to true barefoot training. I’ve used it for everything from sprinting, to jumping, to lifting and felt great. I feel like an absolute rock star because I don’t have to change footwear halfway through a session in my strength and conditioning program, and while that may be a sad commentary on my life, it doesn’t change the fact that it’s a damn good training show that I’ll be rocking for the foreseeable future. It's also quickly become the single most popular training shoe on the floor at Cressey Performance on a given day, as many of the athletes have followed our lead and been thrilled with their purchases. You can check out the different styles of Minimus at NewBalance.com. I also liked this great interview on the research and development that went into creating the Minimus; it’s worth a read if you’re a geek like me. I haven't published much strength and conditioning randomness of late, so here goes. 1. Here's a research study that demonstrates relationships among a variety of scheduling and recovery factors and injury rates. The part I found most interesting was that researchers observed that sleeping fewer than six hours the night prior to a competition led to a significant increase in fatigue related injuries. Additionally, while it wasn't specifically observed in the study, my anecdotal observations are that kids who play 14 games in a weekend are more likely to hate their sports, have too many insignificant trophies, and live in their parents' basement until age 35 because they have a weird sense of entitlement and absolutely no idea how to interact on a social level with anyone who isn't on their AAU teams. 2. Speaking of young athletes, interval training works better for them, too. There's absolutely no reason for a young soccer player to be running miles and miles at a steady-state. Kids need to get strong and learn to run fast before they try to run fast for a long time. Interval training is a nice "bridge" between the two when applied correctly during the off-season period. 3. Here's an excellent study with a biomechanical analysis of the hex/trap bar deadlift technique as compared to the conventional deadlift technique. It backs up a lot of the comments I made last month with my deadlift series from last month, which you can find at the following links: How to Deadlift: Which Variation is Right for You? - Part 1 (Conventional Deadlift) How to Deadlift: Which Variation is Right for You? - Part 2 (Sumo Deadlift) How to Deadlift: Which Variation is Right for You? - Part 3 (Trap Bar Deadlift) 4. Here's an interesting article in Radiology Today about the use of MRI in college athletes as a pre-screening tool - and potentially even an aid in optimizing strength and conditioning programs. Because a lot of the observations on MRI may be "subclinical" (meaning they are findings that occur without the presence of symptoms), there may be merit (albeit at a big cost) to using screens like this as part of an initial (or on the fly) evaluation of an athlete to dictate a training or "prehab" program. For instance, observing a subclinical patellar tendinopathy may mean you do more soft tissue work around the knee and more heavily emphasize glute activation and minimize quad dominant squatting (among other things) to keep that tendon from reaching a symptomatic threshold. There are, of course, some significant drawbacks. For starters, MRIs are expensive and time consuming, so not everyone could get them. How do you decide who deserves it - especially in the era of Title IX? Second, you're assuming that strength and conditioning coaches are qualified and capable to organize programs around what's found on a radiology report. Generally speaking, there isn't a ton of individualization in collegiate strength and conditioning because coaches have so many athletes assigned to them and it isn't feasible. It makes me wonder if you could prevent more injuries if you simply hired 3-4 more strength and conditioning coaches for what it would cost you to get an extra radiologist and imaging technician. Third, and perhaps most importantly, there are a lot of "false positives" on MRI. I've written about this quite in the past and covered it in our Optimal Shoulder Performance DVD set, but you are headed down a very slippery slope when you start treating the image rather than the athlete. In other words, how one moves and feels is far more important than how one's MRI looks. I can guarantee you that the overwhelming majority of my overhead throwing athletes have labral fraying, partial thickness supraspinatus tears, and a host of other "normal" findings for this population. If I immediately contraindicated a ton of exercises in my program because I knew this, I'd likely be setting them back with regressions in their programming when they actually needed progressions. What are your thoughts on this final issue? If you had the resources, would you MRI every athlete in a college athletic program? How would you pick which region to MRI? Sign-up Today for our FREE Newsletter and receive a deadlift technique tutorial! The funny thing is that my swing is dramatically improved and I can easily identify what I've done incorrectly when it doesn't come off the club the way that it should. About 80% of the time, I'm putting them straight-ahead. The only problem with that 80% statistic is that it's based on nice, flat, turf tees at driving ranges, and not what really happens in golf when you're on the side of a hill with leaves, divots, and a tree directly between you and the hole. In other words, all my golf practice thus far has been closed loop, while the nature of golf is much more open loop in nature. What do I mean with these terms? Rather than reinvent the wheel, he's an excerpt from my e-book, The Ultimate Off-Season Training Manual, that describes open and closed-loop drills: The overwhelming majority of agility drills fall into the category of closed-loop drills; very simply, they’re predictable tasks. Closed-loop drills are extremely valuable for teaching proper technique in sprinting, changes of direction, and other sport mechanics, and should therefore comprise the overwhelming majority of the drills utilized in the general off-season period. These “conscious” efforts in the general off-season give rise to integration of appropriate mechanics subconsciously in the late off-season and in-season phases. By these phases, the athlete has become conditioned to act efficiently without thinking about how to react to a given stimulus. Ideally, this occurs completely prior to the integration of open-loop drills that challenge the athlete’s ability to accommodate unpredictable external stimuli. Eventually, both open- and closed-loop drills can be integrated into metabolic conditioning schemes to enhance sport-specific conditioning. We encounter both planned and unplanned movement challenges in athletics, so it is logical to prepare for both. Examples of open-loop movement training are mirror drills, 5-10-5 drills where the athlete moves in the direction that the coach points, and tennis ball drills (where the athlete races to retrieve a tennis ball a coach has thrown in an unannounced direction). Resistance training has traditionally been comprised of closed-loop challenges; this underscores the need for significant variety in exercise selection when programming for athletes. For this reason – especially in the general off-season – coaches should use different bars, dumbbells, kettlebells, cables, medicine balls, body weight exercises, grip widths, ranges of motion, points of stability (e.g., lunges vs. squats), and other varying stimuli to expand athletes’ overall motor pools through rich sensory environments. Such variety is especially important when it comes to dealing with young athletes. The richer their proprioceptive environments, the better their overall development, and the easier they’ll pick up complex challenges down the road. Coaches should allow for enough repetition and frequency of a given drill to allow for adaptation, but at the same time look to insert variety to programming as often as possible. Beyond simply improving overall afferent (sensory) function, variety in exercise selection will also markedly reduce the risk of injury due to pattern overload, muscular imbalance, and movement dysfunction. What’s the take-home message from this length quote? Never expect true carryover from your strength and conditioning programs to the “randomness” of your daily life unless you implement more unpredictable challenges in those strength and conditioning programs. Conservatively, that might mean doing more strongman style training and utilizing more asymmetrical loading. More assertively, it might mean getting out to play in a soccer, softball, or ultimate frisbee game to make sure you aren’t getting stagnant because of the predictability of your “workout routine.” In other words, I'll be getting out to simply golf more, as it'll teach me how to swing under predictable conditions and make good decisions in those scenarios. Likewise, in my practice sessions, I'll be getting off the mats a bit more to golf on less-than-optimal terrain. Maybe it'll get me to a 58 next time. 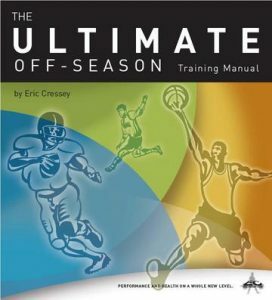 To learn more about how open- and closed-loop drills are integrated in a comprehensive program, check out The Ultimate Off-Season Training Manual. Sign-up Today for our FREE Newsletter and receive a deadlift technique tutorial! Here are some recommended strength and conditioning reads to kick off the week: Perfecting the 1-leg RDL - My business partner, Tony Gentilcore, troubleshoots this commonly-screwed-up exercise in a video blog with lots of great coaching cues. An Intelligent Answer to a Dumb Question - This blast from the past talks about the value of single-leg training and reviews Mike Robertson's great product, The Single-Leg Solution. The Fibroblaster IASTM Tool - This post from Jacob Fey on Mike Reinold's site describes the Fibroblaster, a new instrument-assisted soft tissue mobilization tool, that was actually designed and manufactured by Fey himself. Jacob's a buddy of CP's own Chris Howard, and as a result, we've had a chance to experience the Fibroblaster first-hand in the manual therapy that's done at Cressey Performance. It's a fantastic implement with a promising feature, for sure. Sign-up Today for our FREE Newsletter and receive a deadlift technique tutorial! Correcting Bad Posture: Are Deadlifts Enough? Earlier this week, I received an email from a reader who was wondering whether deadlifts executed in perfect technique could be all one needs for correcting “bad posture.” It got me to thinking about just how ideal the deadlift really is. Working from the ground up: 1.You’re teaching folks to keep their weight back on their heels, and (ideally) executing the lift in minimalist or no footwear – thereby increasing dorsiflexion range-of-motion. 2. You increase stiffness in the hamstrings and glutes, which extend the hip and posteriorly tilt the pelvis. 3. You get a great co-contraction of all the muscles of the core to effectively handle all shear and compressive forces on the spine. In the process, you lock the rib cage to the pelvis and establish a solid zone of apposition (learn more here) for the diaphragm to function optimally. 4. You establish stiffness in the thoracic erectors, thereby minimizing a thoracic kyphosis. As I noted a few weeks ago, stiffness can be a great thing. 5. You pull the scapulae into retraction and depression, thereby increasing stiffness in the lower trapezius. 6. You pack the neck, ingraining the ideal cervical posture. It’s no surprise that the deadlift is an outstanding strength exercise when it comes to correcting bad posture. However, is it enough? I don’t think so. Why? Well, first, you have to remember that postural considerations must be multiplanar. Just because we’re moving in the right direction in a bilateral, sagittal plane motion doesn’t mean that we’re ironing out issues in the frontal and transverse planes. Is there adequate control of femoral internal rotation and adduction by the hip external rotators/abductors? Do you see a big rib flair on the left side and a low shoulder on the right? Does an individual have adequate thoracic rotation to match up with the thoracic extension that’s been improved? We really never work in a single plane during functional activities; life is a combination of many movements. Bad posture – to me at least – isn’t just characterized by how someone stands in the anatomical position, but how he or she is gets into specific positions. In other words, “posture” isn’t much different than “mobility.” Very simply, these terms imply stability within a given range-of-motion. Second, consider the law of repetitive motion, where “I” is injury to the tissues, “N” is the number of repetitions, “F” is the force of each repetition as a percentage of maximal strength, “A” is the amplitude (range of motion) of each repetition, and “R” is rest. To reduce injury to tissues (which negative postural adaptations can be considered), you have to work on each of the five factors in this equation. Looking to learn more? Check out Functional Stability Training of the Lower Body, where I have an entire presentation, 15 Things I've Learned About the Deadlift. Here's some recommended reading for the week: BSPMG Review - Charlie Weingroff was one of the presenters at the Boston Sports Medicine and Performance Group's annual event, and in this great review, he summarizes many of the key takeaways from the weekend. Want to Get Strong? Quit Switching Strength Training Programs Every Week. - This is a little blast from the past here at EricCressey.com. Even if you understand the key message without reading it, you should at least give it a look just to watch some funny YouTube clips. Shapeshifter - Adam Steer and Ryan Murdock introduced this product yesterday. It's a good fit for those of you who need body weight training workouts exclusively because you don't have access to any equipment. Training without external load will never be optimal, but these guys do a good job of pulling together some innovative exercises in an organized format to provide a training effect for those who don't have all the amenities a gym offers. Sign-up Today for our FREE Newsletter and receive a deadlift technique tutorial! This past weekend was really special for me, as I got to watch about two dozen Cressey Performance athletes go out and win the Massachusetts Division 1 State Championship for Lincoln-Sudbury Regional High School. While we work with kids from dozens of high schools in the area, L-S baseball was the first program that “took a chance” on me when I was the new guy in town, and from that initial group of guys grew the Cressey Performance “baseball empire” that now includes loads of professional and college players. I’ve become great friends with the entire coaching staff, and the players’ families have really adopted my wife and me as part of the L-S baseball community. This year’s senior class included kids who actually started training with us in eighth grade, and therefore marked the first class of guys who spent their entire high school careers with us at Cressey Performance. In thinking back on the progress one athlete, Adam Ravenelle, made over those four years, I felt compelled to write this blog. On Adam’s first day at CP, he looked pretty intimidated – just like any 14-year-old would when stepping into a weight room for the first time. However, when I went to do his shoulder assessment, I quickly realized that he’d fit in just fine. When I found that he had almost 140 degrees of external rotation in his throwing shoulder, I turned to my business partner and commented that he had “a big league shoulder” and that if he was willing to put in the work, he’d be a pretty good pitcher (even though he was a shortstop/third basemen at the time). Four years later, with a fastball in the low 90s, Adam is a 44th round draft pick of the Yankees and a State Champion with a baseball scholarship to Vanderbilt. He’s pitched at Yankee Stadium, Fenway Park, and at all the major competitions – Area Codes, East Coast Pro, USA Baseball Tournament of Stars – that an accomplished player could attend. You know what, though? These accomplishments didn't magically happen; rather, there were thousands of small, but extremely significant moments along the way that took Adam from a "kid with a good shoulder" to the athlete he is today. There were all the days when he came in to get his arm stretched out the day after a start, and all the times that he came in to lift on a Sunday afternoon in-season when he could just have skipped lifting during the season, like many players ignorantly do. There were all the meals he ate along the way to gaining over 50 pounds – even though he wasn’t hungry, most of the time. In fact, sometimes we even made him attack loaves of bread in the office before he was allowed to leave. Adam was really a microcosm of the entire state championship Lincoln-Sudbury team. LS has now won 11 straight league titles and three of the last seven state championships, yet their head coach, Kirk Fredericks, called this “the best practice team” he’s ever had. In other words, they did the little things well day-to-day in order to succeed. They never skipped steps. They also didn’t have a single player miss a game due to injury over the course of the entire season. Their consistency not only afforded them the best possible outcome, but kept them healthy in the process. It was a remarkably fresh breath of air for me. I’ve seen a change in young athletes over the past few years where they all want something badly – whether it’s a state championship, college scholarship, or a trip to the big leagues – but very few kids really seem willing to put in the work to get it. The fitness world isn’t much different; many folks want the fastest way to drop 30 pounds before a wedding or trip to the beach, but all the while ignore the valuable lessons to be learned and habits to be acquired along the way. They want the destination, but don't care for the process. Tim Collins didn’t go to the big leagues because he was more gifted than anyone else. He went to the big leagues because he was the first guy back to train at the end of every minor league season, and he lived at the gym and did absolutely everything each of his coaches told him to do. Tyler Beede wasn’t born a first round draft pick. He earned it by learning to command his fastball and develop his change-up when all the other kids thought it would be fun to screw around with curveballs when they were 11. He made himself into a first round pick, in part, by driving 40 minutes to CP, training, and driving 40 minutes home 3-4 days per week for the past three years - also gaining almost 50 pounds in the process. Jordan Cote didn’t just get called in the 3rd round by the Yankees or win the New Hampshire Gatorade Player of the Year award this year because he was 6-6 and “projectable.” He worked to get it by driving two hours every Saturday morning for the past two years to throw and train at CP at 9AM when everyone else his age was sleeping in. And that’s why he went from 185 pounds to 218 pounds over the course of 18 months – almost half of which was during the in-season period. He also drove a long way to play for the New England Ruffnecks program, which is 2.5 hours away in Massachusetts - but consistently produces some of the best talent in New England. In no way am I saying that Cressey Performance alone was responsible for these guys’ success, nor are these the only guys who did what it took to succeed in recent months. Rather, I’m showing you that in two aspects of their preparation – training and nutrition – they did the little things that it took to excel. They certainly did the same with on-field practice, school work, and community service to get to where they are. There were obviously end goals in mind, but they never interfered with accomplishing day-to-day, hour-to-hour, and moment-to-moment objectives. To that end, the next time you find yourself fantasizing about your athletic dreams or fitness goals, take a step back and consider whether you’re doing what you need to do in the present to get to where you need to be. Are you waking up ten minutes early so that you can have a good breakfast before you go to school, or are you the guy that simply complains that you “don’t have time” for a good breakfast? Are you blocking off an hour in your day to go to the gym, or are you going to allow it to fill up with other obligations that can’t possibly be more important than your health? Are you dropping hundreds of dollars on showcases when you should be spending time developing your abilities by taking ground balls and batting practice, long tossing, strength training, and working on your mobility? There is no single way to get to where you want to be. Likewise, there is no magic pill. It takes time, consistency, attention to detail, and an appreciation of what must get done in the short term in order to attain long-term success. Now, shouldn’t you be doing something right now to get closer to your long-term goals? Congratulations, Lincoln-Sudbury baseball, and thank you – both for the lessons you’ve taught us and for having us along for the ride! Many of the seniors on this team have been with us throughout their entire high school careers, so it was absolutely awesome to see them go out in style in their last high school game. Congratulations, guys, and thanks for all the memories! I'm a little too busy to write a blog today, but the good news is that we were about due for a cute puppy video, anyway. This one is actually from the archives; it was taken over the winter, but I just discovered it in the videos on my laptop. You'll recognize Tank's partner in crime as Kansas City Royals pitcher Tim Collins.